The World Championship Match is traditionally the most important event on the chess circuit. 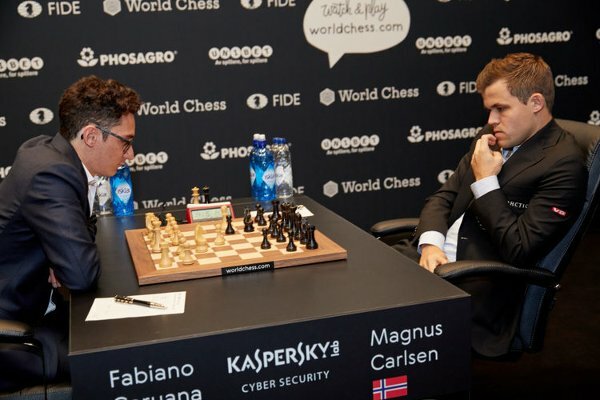 This year, the Carlsen-Caruana clash was highly anticipated as, for the first time in a long while, it was World #1 vs World #2. I consider the games of high technical quality, following the modern tendancy towards greater accuracy in defense rather than with the initiative. Carlsen and Caruana have both been more successful in finding great resources in inferior positions than in converting the superior ones. The very first game was an extreme example, in which Caruana didn’t resist a lot before move 40, while Carlsen was missing rather easy wins. In the openings, I expected to see more dangerous ideas. 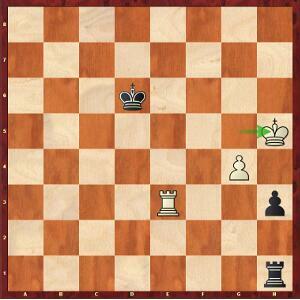 With white, I found Carlsen especially harmless, barely could we point out the English Game from game 9. 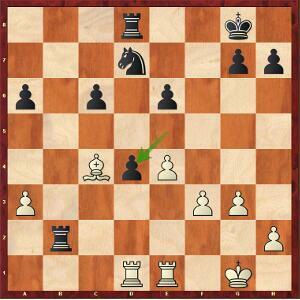 Carlsen-Caruana, Game 9; the only white game where the World Champion got an edge! 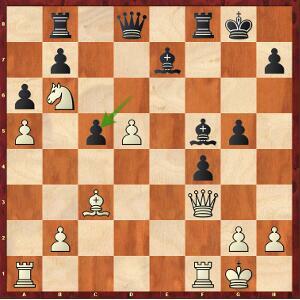 Carlsen-Caruana, Game 7; maybe Carlsen wanted this position? And in the other Russian with 5.Nc3 (Game 11), it was also quite curious to see Carlsen seemingly unaware of a position that had just leaked in a Team Caruana video a few days ago! But sometimes the reasons are hidden. Maybe he feared something and decided to deviate at the last moment on the board? Carlsen-Caruana, Game 11; was Carlsen still in his prep? Twenty minutes to play 11.Rhe1 followed by 12.Kb1, a line which he was inevitably aware of, that shows an hesitation, a lack of confidence in his prep, and that might explain it. 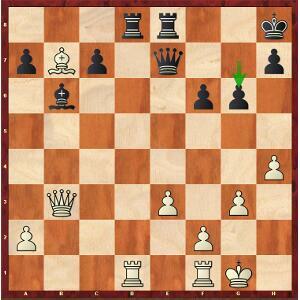 For his part, Caruana only showed a few white ideas, at the end of the match. That’s the reason why the match will leave a strange feeling, especially if you compare it with both Anand-Carlsen matches of 2013 and 2014. Despite losing, Vishy happened to look much more threatening. 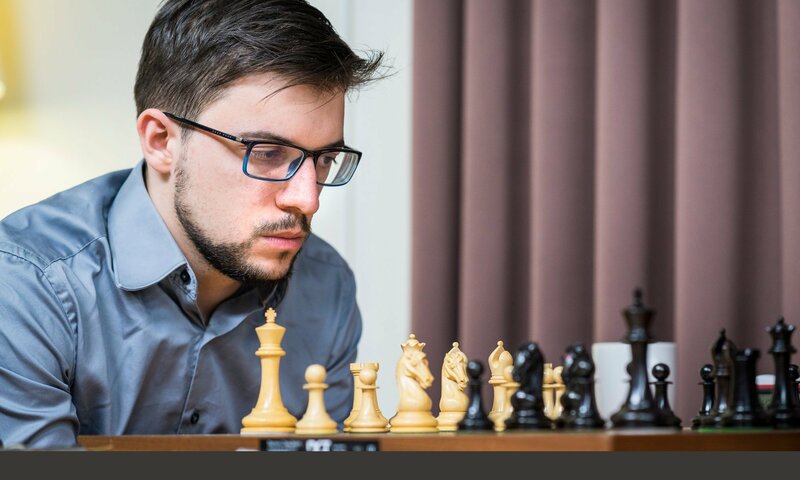 To the credit of both players, we must nevertheless concede that the highest quality of overall black preparations probably played a decisive role, perhaps even inhibiting the player with white! From my point of view, the idea of Caruana’s prep being much more superior looks highly exagerated. 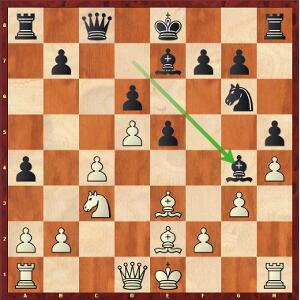 Let’s not forget that Carlsen was in no danger whatsoever with black, except in Game 8. 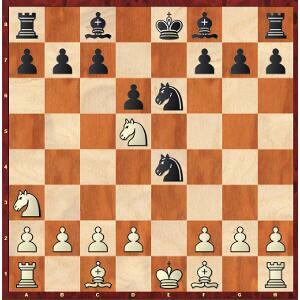 Caruana-Carlsen, Game 8; white on the move has the initiative. Caruana-Carlsen, Game 3; white on the move is slightly better. Is a computer-generated advantage a real asset in a highly complex position, especially if it is not to our liking? Like everybody, I was surprised by Carlsen’s draw offer in a dominating position, during the last game. But what was still more surprising for me was the way he had previously avoided all the lines which were probably winning, though involving a bit of risk, mainly the timely …b5 break. In hindsight, we understand that it was just a strategy he chose to stick to; going to the tie-breaks, where he felt he was the stronger. I thought Carlsen was just being provocative when he said that a draw would perfectly suit him in this game; for sure, it was just a way of encouraging Caruana to burn his bridges. But the truth is there was nothing to misinterpret, and Carlsen was just perfectly sincere! The tie-break games began with Carlsen really surprising Caruana for the first time. I think he had decided to keep this c4/e4 setup in the English for the Rapid games. Carlsen-Caruana, Game 13; little surprise for the tie-breaks! 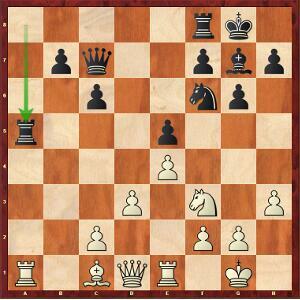 Carlsen got a winning position, but didn’t find the way, with the prophylactic 25.Kh1!! (after 24.Rxd4 Kf7 in the diagrammed position below, instead of 24.Bxe6+?). 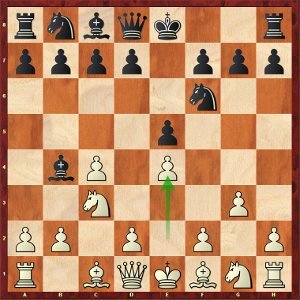 I would have been proud to find such a move in a classical game! Then, as everybody saw it, Caruana lost a drawn Rook endgame because he forgot a vicious intermediate move, not easy at all to anticipate in a rapid game. Here, 51…h2 52.Re2 (52.Rh3 Ke7) 52…Ra1! 53.Rxh2 Ra8 would have drawn, as the Rh2 is misplaced. But I chose 51…Rf1? 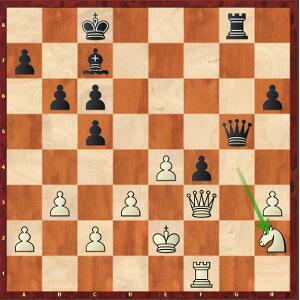 52.Rxh3 Ke7, and it’s a theoretical win for white after 53.Kg6!. In the second tie-break game, as I already said, Caruana probably got an edge, but in a type of position where he’s probably not at ease, and it went downhill for him at lightning speed. In the third tie-break game, Caruana went all-in, but it didn’t work, although he got a playable position with black. At the end of the day, Carlsen showed a tremendous display of power to keep his World title in the Rapid games (3-0). It was huge and impressive! 12 games is clearly not enough. I think the number should be raised to 16. But I see another problem in the many rest days, one of them after every pair of game. It is just not in the spirit of the match. You could see the match dragging on at the end, rest before game 11, then before game 12 because it was the last, and again before the tie-breaks! Guys, we still have six months to prepare the match ! And the slow pace of the match, in a context where finding new ideas becomes increasingly difficult, kind of annihilates the efforts. Indeed, when you find a new idea, the opponent will have the next day, with colours reversed, then the rest day, all in all almost three days, to have his team working on a response. In tournaments, there’s generally a rest day every four rounds, and it should be the same for the World Championship match. Incidentally, I guess it would be better for the public, as well as for the journalists over there, to have a few more games in fewer days! If things go this way, it would also be logical to speed up the rhythm of play, avoiding 7-hour long games. It’s too long for the audience, but it’s also too long for players to make differences. 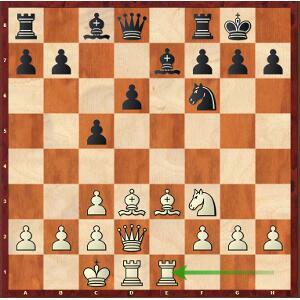 It’s already not easy in some Rapid games, so in classical ones…! I’m advocating to choose the 90+30 (+30”) rhythm of play. For his part, Carlsen just evoked the idea, though vaguely, of a « bit of Rapid games in the match ». I fully understand this development, and maybe the quicker time controls will be the norm in the future. But for the time being, it seems to me that we have distinct championships (Blitz, Rapid, Classic), and I would support the idea of mixing the rates of play as rarely as possible! London Calling London was the center of the chess world during november and the length of the Carlsen-Caruana match. And the English capital will keep this status in december, as it twill host the 2018 Grand Chess Tour finals. Semi-finals will take place December 11-13 at Google headquarters; Caruana-Nakamura and Aronian-Mvl matches will be played over two Classical games, two Rapid and four Blitz games. The final and the loser’s final will be held the following days, December 15-17, with the same format, in the London Olympia. Previous PostPrevious Winner in Shenzhen, stopped Ding at 100!